This is an historical novel set in Northern Italy at the turn of the 20th century. Zaira is a young, determined girl, seeking a new life away from her restricting peasant farming background. However things do not go according to plan when she meets Leonardo, a rich landowner and becomes companion to his delicate wife, Livietta. When Zaira gives birth to twins their lives are changed forever. Zaira is the first title in a trilogy. The second title is Clarisse – an honest woman. The third title is Dorek – deaf and unheard. Zaira, Clarisse and Dorek are all connected in surprising ways. Patricia Borlenghi’s novel, Zaira is a compelling story of a woman who yearns for a freedom not allowed in her native country of Italy prior to the Great War. Zaira Crespi is raised by a loving but stern father who holds traditions close to his heart. He recognizes her wild nature and hopes she will settle down in their small hamlet of Torretta, a town once known by the family name, Crespi. Over time, power is diminished as lands divide and are handed down to sons. When Zaira’s father dies, he wills a small portion of land to his daughter. Her brothers resent their father’s actions. Zaira is restless and takes advantage of her father’s death to strike out on her own and leaves Torretta to find adventure and a life of freedom. She encounters Countess Bertini at a railway station who has misplaced luggage. When Zaira assists her, the countess hires her to be a companion to her meek niece-in-law who is married to one of her two nephews. The peasant girl eagerly accepts and finds herself under the spell of Leonardo, the nephew. Zaira remains unfulfilled until she gives birth to twins and realizes the depth of love a mother can have.Zaira is a captivating story of the struggles not only of the female population before the war, but of Italy itself. Patricia Borlenghi tells a story that unfolds every emotion of the human soul through her characters. Her ability to describe the joys and heartaches of a woman who lived before her time only mesmerizes her readers. Borlenghi knows how to weave a tumultuous history throughout the lives of those struggling to hold onto traditions and the frustrations of wanting to break free of them. It is as if the author and the reader join in the strong desire to see the main character, Zaira, accomplish things women today take for granted in their lives. This is a novel well worth the time in reading it. I am very interested in reading more works by Patricia Borlenghi. “Zaira” is a passionate heroine who inhabits a passionate novel, which moreover conveys so much truth about life in the Italian Apennines at the turn of the 20th century. This portrait of an `alienated’ peasant for whom domestic chores, the ‘joys’ of marriage, and village life, with its communal rituals, simply have no meaning is extremely effective. In the first few chapters the author’s main concern seems to be that of creating a setting, of rendering the social environment from which Zaira stems. When I started reading the book I wondered whether the heroine was slightly anachronistic in relation to her setting. Zaira is a bright, sensitive and unconventional young woman, the kind of girl you find in Henry James’s novels – ranging from “The Portrait of a Lady” to “Daisy Miller” – and who is usually destined to see her high expectations frustrated by life. Unlike Madame Bovary, Zaira does not dream of romantic attachments, but rather of “a career, adventure, excitement”. 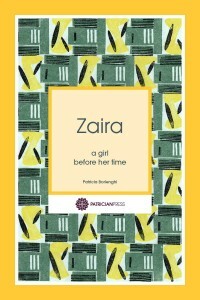 Briefly, she is a new woman transplanted into a little village on the Apennines… Yet, far from being a projection of the author onto the Italian past, far from being a figment of a retrospective anthropological imagination, Zaira fully comes to life. After the introductory chapters, she shows such a strong personality that readers are captivated by her and by her destiny, which becomes increasingly melodramatic. Instead of the career and freedom she has dreamt of, Zaira finds love and this turns all her hopes and plans topsy-turvy. The book teems with life, emotions and suspense, and proves more and more enticing as its plot unfolds. One can feel that the author did not write “Zaira” using only her `conscious dimension’, but that this story is rooted down there – in that magmatic region of our psyche from which all truly alluring writing stems… At times the virtually `melodramatic’ élan of these pages reminded me of a writer I love – Elsa Morante.